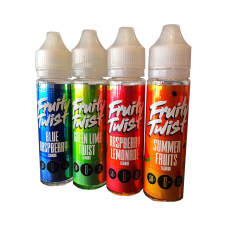 AIR FACTORY Premium American E Liquid 50ml Vape Juice..
E LIQUID CANDY LANE 70/30 E VAPE JUICE, MAX FLAVOUR SHORT FILL 50ML E-LIQUID Your all time Favs in a.. 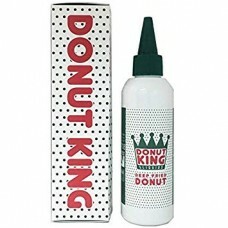 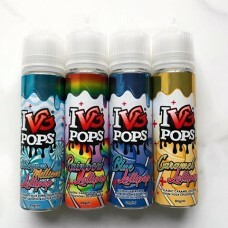 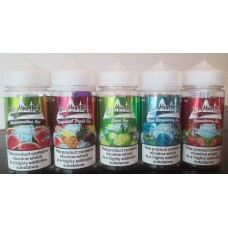 The Candy Rush short fill e-liquid range consists of 70 VG e-juices in 50ml short fill bottles so yo..
Vape D-Lites are a family run eliquid manufacturer based out of San Diego, California that currently..
Donut King E liquid provides a vape as close as you can get to to tasting the real thing!.. 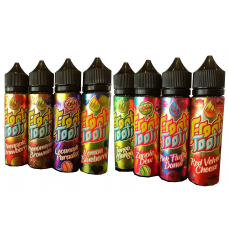 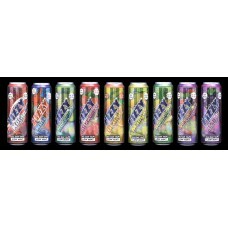 E JUICE 50ml 12 fantastic flavour to choose from..
Frooti Tooti Short Fill 0mg Sub Ohm 50ml Vaping Juice Premium Fruity Flavours..
Flavour profiles:Fresh- Strawberry’s with a pomegranate twistZesty- Citrus fruits with watermelonTan..
Fruitilicious is inspired by a well known brand of flavoured water, bringing you the flavours you lo..
Fruity twist liquids.50ml 70% VG/ 30% PG..
Ice Mountain Blue Raspberry Ice..
IVG Pops is a candy range of classic sweet/desert flavours each with a unique Lollipop base.&nb..